Famed evangelical Christian evangelist Billy Graham died. He was 99 years old. I saw Billy Graham speak in person once. It was in 1990 while I was in the Air Force. I had just PCS’d (permanent change of station) – moved – from Andersen Air Force Base, Guam to Griffiss Air Force Base in upstate New York. A friend I knew from Guam was also stationed at Griffiss and evidently, he had become somewhat religious since moving back to the mainland. Billy Graham was speaking at an arena in Albany and my buddy from Guam wanted to go. He asked me if I’d go with him. I figured, why not? I’d never been to Albany before. I was such a new arrival to New York, I hadn’t really been anywhere. Up until that point, the most famous evangelical Christian speaker I had seen was Paul Crouch. He, of course, was accompanied by his wife Jan. They were speaking not in a big fancy arena, but in the church in which I was raised in, the Lancaster First Assembly of God. I don’t remember much of the Billy Graham event, other than it was extremely boring. In other words, it was just like attending services at the old Lancaster First Assembly of God. I do remember an announcement about protestors out front of the arena and how we were not to pay any attention to them. I didn’t see any protesters when we entered the arena, but I was immediately intrigued. Why would anyone protest a Billy Graham event? I thought Billy Graham was loved by Christians and non-Christians alike. Billy Graham and President Richard M. Nixon. I don’t really understand the allure Billy Graham had with people. He was famous for ministering to presidents and other heads of state. I’m not sure why this was the case. It’s not like the message he was providing was special or different than all the other professional evangelical Christian. Granted, most professional evangelical Christians have an ethical stink about them that turns most people off. One has to look no further than Paul and Jan Crouch to know what I’m talking about. Billy Graham was unique in that he didn’t have that stink about him. He didn’t come across as a dishonest scumball out to make a quick buck. Paul Crouch, Billy Graham, and Jan Crouch. With that said, Billy Graham did make a living, a very good living, telling people things that were factually not true. He spent his life telling people that unless they asked a man who lived over 2,000 years ago in the Palestine region of the Roman empire to come into their hearts, they would spend eternity burning in a giant lake of fire. Billy Graham told millions of people this message even though there was absolutely no proof that substantiated any of it. Facts? Like all evangelical Christians, facts were nonexistent. Billy Graham dealt with faith, not fact. I’d probably look at Billy Graham differently if I could ignore all the damage he did in the name of his religion. How many gay and lesbian people were made to feel subhuman because of the teachings of Billy Graham? 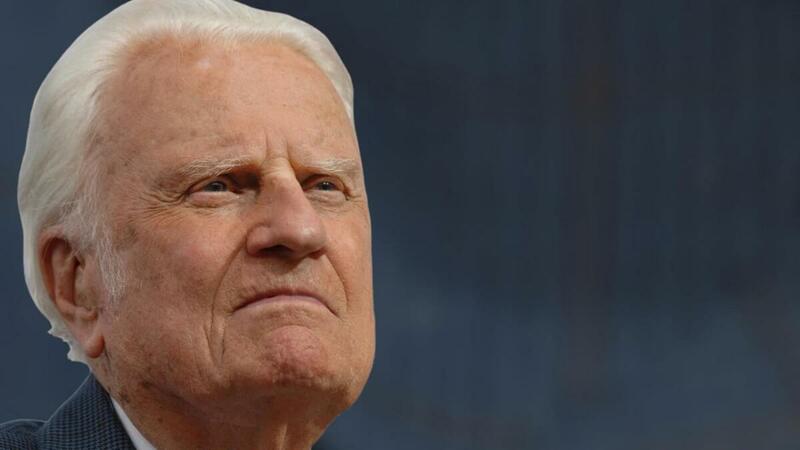 Billy Graham taught homosexuality could be healed with prayer. How many families with a gay or lesbian member were forever fractured and destroyed because of Billy Graham’s message? We will never know, but the number is probably quite high. There are undoubtedly some people feeling sad today because Billy Graham passed away, but I do not include myself in their numbers. Afterall, Billy Graham is now in Heaven with Jesus, right?